The CKT 1180 provides Users with high-voltage testing up to 3,500 VDC and 2,000 VAC RMS. The system is expandable to 9,000 test points in increments of 500 test points. Packaging of this system is an integrated unit comprising the control electronics, the stimuli generators and measurement instrumentation, plus the switching matrix. The output interface is the CKT MAC interface, modified to be compatible with the high test voltages produced by the CKT 1180. 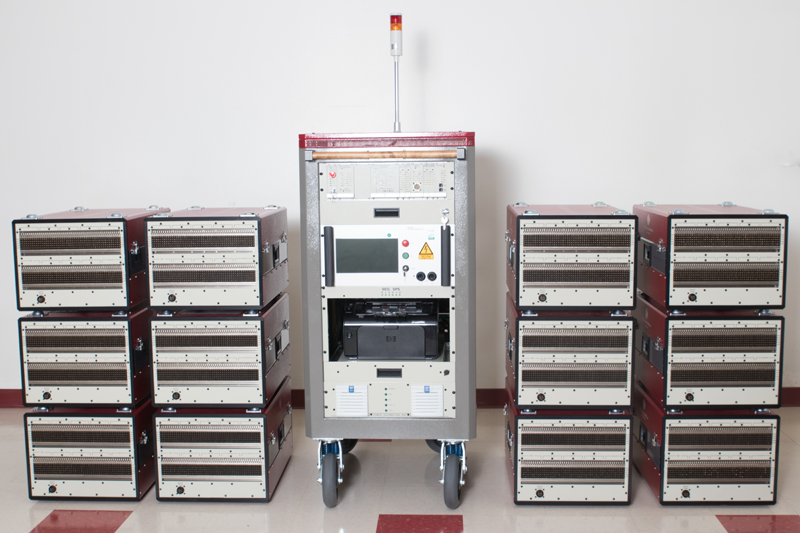 The CKT1180′s focus is to test assemblies that require extremely high reliability and work at elevated voltages. An example is the testing of certain components of rolling stock, i.e., trains, subway cars, streetcars, etc. To ensure a safe testing environment the CKT 1180 is controlled from a remote location using wireless Ethernet LAN. This means that the system can be placed in close proximity to the unit-under-test, connected using relatively short adapter cables, and then operated at distances up to 300 ft. (91.44 meters).